Talented Western Australian sprinter Campini has sights set on Speed Star. 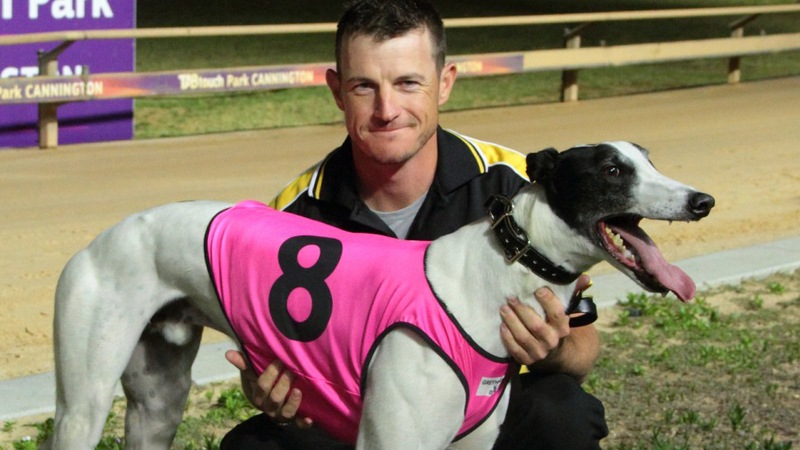 His trainer Paul Stuart (pictured with Campini after a win in December, courtesy of Mulder Photography) said on Sky Sports Radio’s Going Greyhounds that the match-race event may be Campini’s next assignment. “We’ll look to go to Melbourne for the Speed Star. He is one who’ll be on the plane soon and chasing some of the bigger races,” revealed Stuart. He finished 4th in last Saturday’s Perth Cup after coming from last in one of the better editions the race seen in recent years. Campini has had all of his 15 career starts at his home track of Cannington. He’s notched up 9 wins headed by a hot 29.43 effort in February – less than two tenths of a second outside of Quick Jagger’s 29.29 track record. Earlier this year Campini’s team offered a match race to connections of last year’s National Sprint Champion, West On Augie, however it was declined. 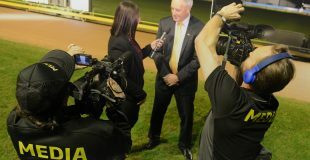 Speed Star is greyhound racing’s most exciting format with Australia’s fastest chasers converging for an entire program of match racing. It will be held on Sunday May 5 and will see 40 greyhounds to contest 20 match races with $190,000 in prize money to be won. Southern Ripple is currently at the top of the Speed Star 515m standings, while Deliver and Dyna Chancer head the 595m and 715m respectively. Alfieri (SA), Red Rock (SA) and Rockstar Prince (NSW) will trial tomorrow night between races in preparation for next Thursday’s Launching Pad heats with their times to be eligible for the Speed Star.